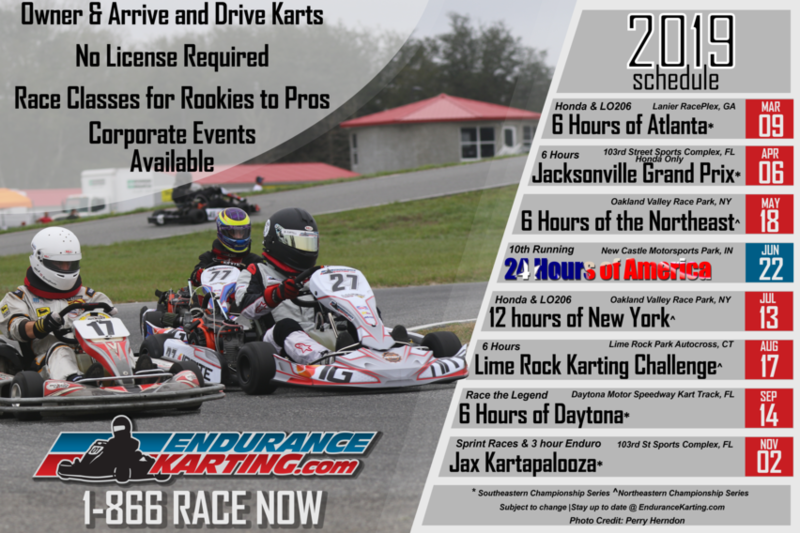 Endurance LO206 racing with Endurance Karting provides extensive seat time and a greater understanding of karting. Racing Schools & Camps educate and elevate drivers to new levels of confidence and speed. Founded in 2001 in separate states, ProCup and Endurance Karting share the vision of fun karting for all levels of drivers without the extreme costs and exhausting work associated with participating in motorsports.Gone are the weeks of prep and trailer hauling only to have your race end before the checkered flag dropped. In 2013, ProCup and Endurance Karting became one to provide the ultimate experience in Arrive and Drive Kart Racing. Our goal at ProCup Karting is to grow the sport of karting by making participating easy and fun. By removing mechanical and transportation obstacles and providing an even racing field, drivers of all mechanical and racing abilities can compete as a team to win in one of multiple experienced based classes.